AMAZING OPPORTUNITY to own this extraordinary custom home with attached mother-in-law unit totaling 3, 990 square feet. The separate guest quarters is 374 square feet located in the oversized shop AND a separate 1 bedroom apartment totaling 612 square feet. Built with quality high end finishes, energy efficient and wired for solar. Located in town on over a 1/2 acre lot with views, mature landscaping, tons of parking, shop space and 3 separate garages. Enjoy a custom home and have income at the same time . . . Vacation rental or Airbnb opportunity. 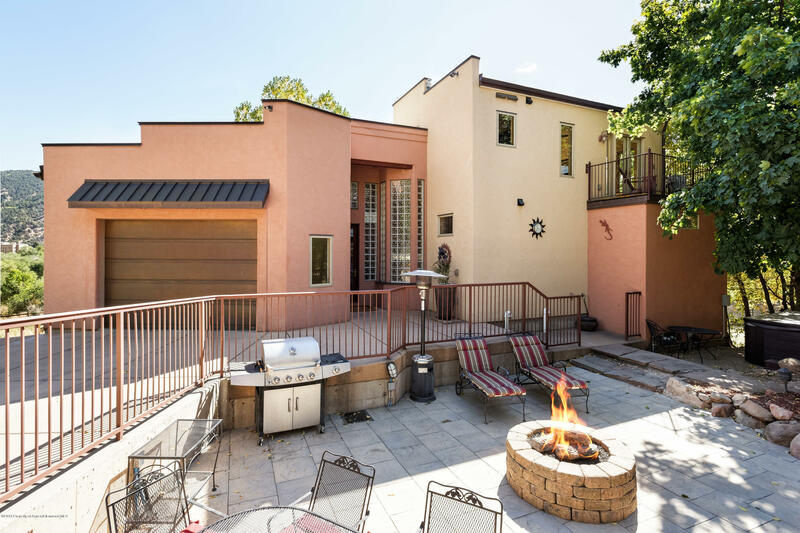 Walking distance to the river trail system, downtown or hiking Red Mountain.